There are currently 114,872 users on this website. 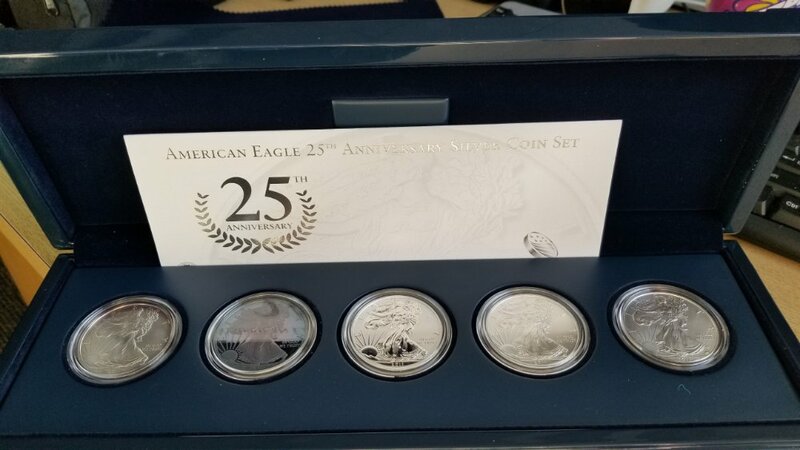 Just picked up a 2011 American Eagle 25th Anniversary 5 coin set at the LCS near work today. 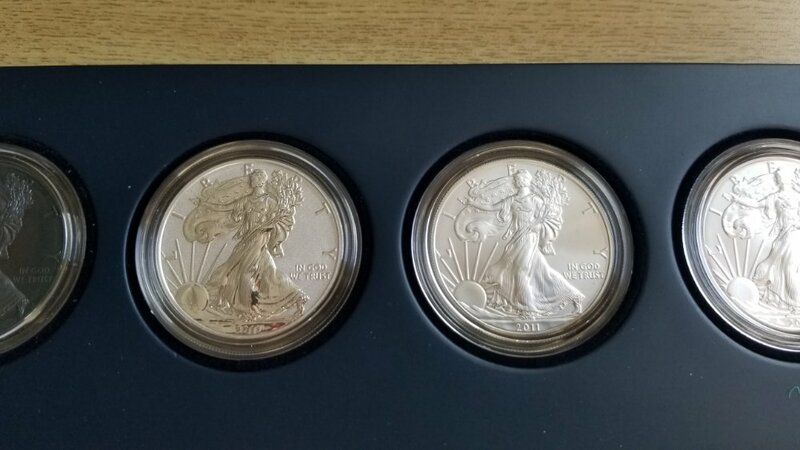 The W proof had incredible toning on it, and was a big reason I bought this set rather then continue looking for a blast white set. 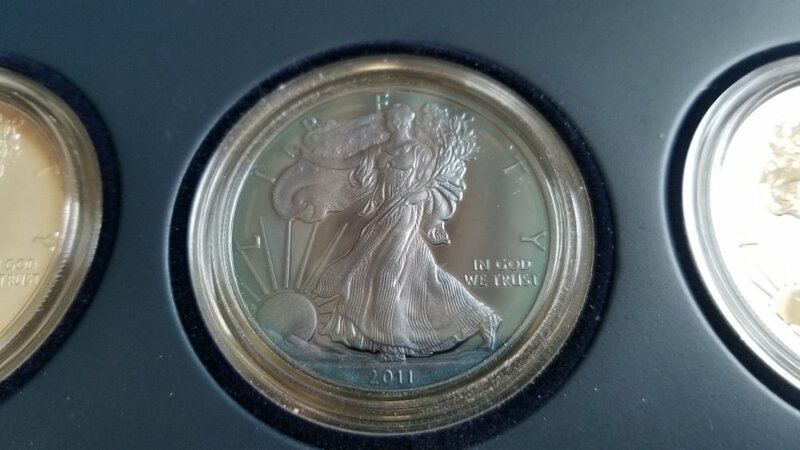 I'm not one of those collector's that goes for toned ASE's usually, but this proof is striking with a beautiful dark blue to violet toning across the mirrored fields and Lady Liberty. 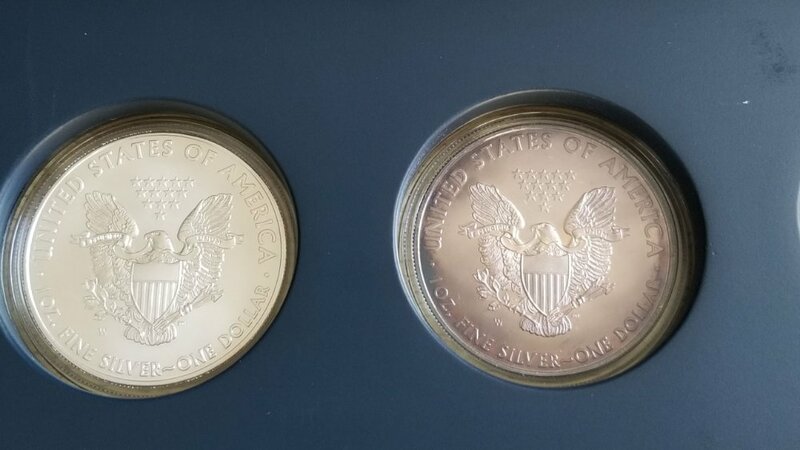 It really is a killer set all around and that's a nice toned ASE. I hope you got a good deal on it. 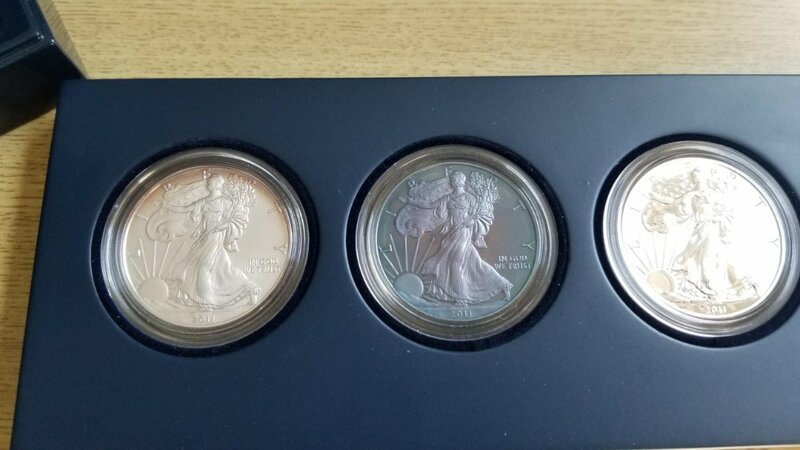 Can't believe it was almost 8 years ago now that this set came out. 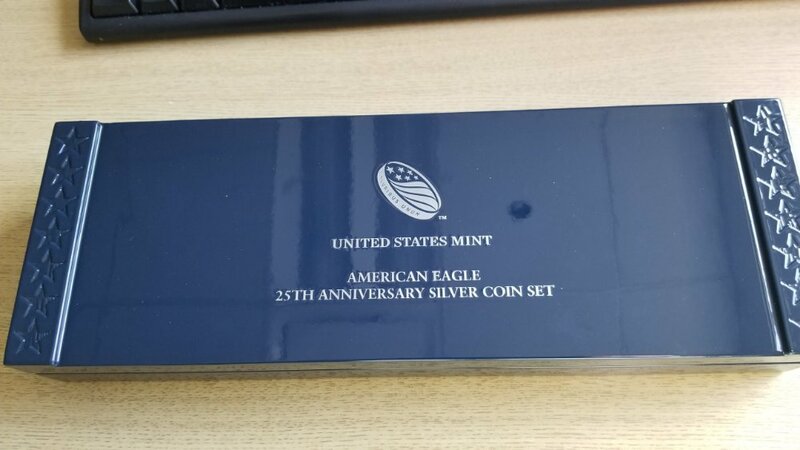 Ah, the memories of hitting "refresh" a zillion times to get through on the old Mint site. 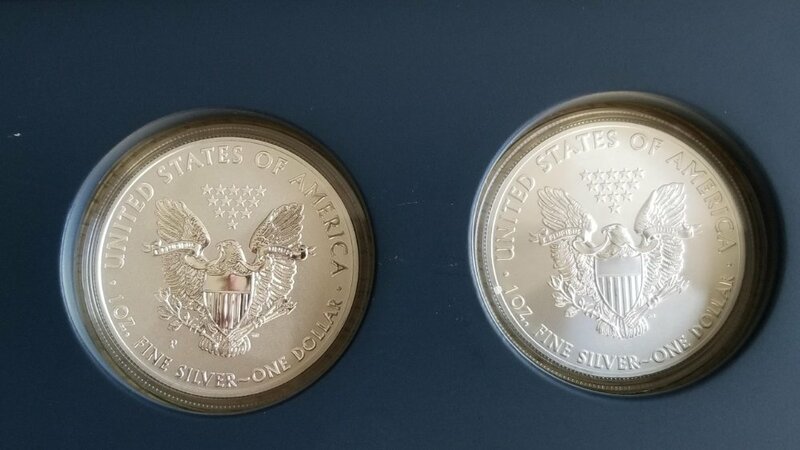 At any rate, if you wanted to, the W proof should be an easy one to swap out since it's not unique to the set.